Amboseli National Park in Kenya is one of the most scenic areas in Africa. Every vista showcases the snow-capped peak of Mt. 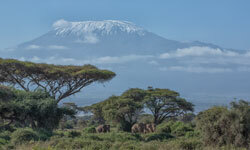 Kilimanjaro and is an excellent spot for photographing and viewing big game. Large herds of elephants, giraffes, and buffalos are abundant. 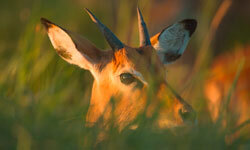 Cheetah, impala, kudu and oryx also roam these plains and wetlands. Although the area lies in the rain shadow of Mt. Kilimanjaro, and receives only 12 inches of rain per year on average, the water from the Mountain forms freshwater springs attracting the large herds. The elephant population in Amboseli is one of the few that has been able to live relatively undisturbed in natural conditions due primarily to three factors – the researchers and tourists in the park, anti-poaching programs, and the support of the local Maasai people. Cynthia Moss made a life-changing decision and moved to this area to study the elephants and help aid in their survival in 1968. Her work is the longest-running study of wild elephants ever undertaken. We will visit her organization, the Amboseli Trust for Elephants (ATE), to learn more about the phenomenal contribution being made to elephant conservation efforts. This world-renowned reserve in Kenya, which stretches over 938 square miles of open rolling grasslands, is packed with wildlife. Nowhere in Africa is wildlife more abundant. 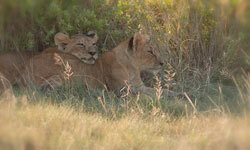 It’s common to see the big five (cape buffalo, elephant, leopard, lion, and rhino) roaming this area. Other game includes hippopotamus, cheetah, Grant’s gazelle, impala, topi, zebra, Coke’s hartebeest, giraffe, and Roan antelope. 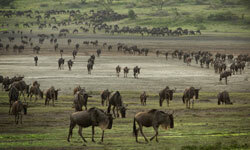 The wildebeest are by far the dominant inhabitants of the Maasai Mara with numbers in the millions. The Great Migration starts in July each year with large numbers of wildebeest, Thompson’s gazelle, zebra, and other herbivores migrating from the Serengeti plains. The Tsavo National Parks – Tsavo East and Tsavo West – encompass nearly 22,000 km, being the largest national park in Kenya and one of the largest in the world. The park was split into two due to a railway going from Mombasa to the interior of Kenya. Tsavo East is one of the oldest parks in Kenya and notable for the notorious man-eating lions that stalked construction workers in 1898 during construction of the railway. The landscape is generally flat, dry plains and slightly larger than it’s counterpart. Today the park is home to vast herds of dust-red elephant, rhino, Cape buffalo, lion, leopard, pods of hippo, crocodile, waterbucks, lesser kudu, Gerenuk, and Hirola as well as over 500 recorded bird species. 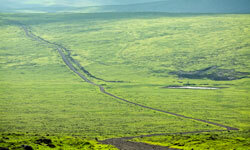 Chyulu Hills National Park is a magical land of volcanic hills dotted with black lava and dense forest. Mount Kilimanjaro can be seen to the west and all around are miles of Maasai land and group ranches. 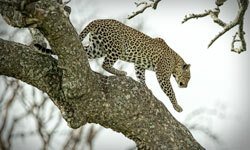 There is diverse wildlife, including threatened species such as rhino, elephant, cheetah, and leopard. The Big Life Foundation partnered with the Kenya Wildlife Service have anti-poaching and monitoring patrols in the area. They place special emphasis on the endangered Eastern Black Rhino in this area although they protect all wildlife. (Save The Rhino) By visiting this area we can help support these great conservation efforts. The Serengeti is a legendary place in Tanzania. It is a place where you can be out all day and see no one else. Wildlife abounds. This great grassland range is filled with wildebeest, gazelles, eland, zebra, and their predators, lions, cheetahs, and hyenas. Elephants and impala grace the acacia woodlands. Waterbirds, hippos and crocodiles can be found in wetlands and river areas. Over 500 species of birds live in this area. The sensory experience boggles the mind. Photography opportunities are everywhere. The largest numbers of herbivores are in the grasslands in December – March. This is when the grasslands are green and growing. After March they begin to wander westward and eventually return north to Kenya’s Maasai Mara in July and August. There are animals of all types in the Serengeti year round but the greatest concentrations occur in those first few months of the years. The actual migration (movement of large numbers) varies from late November (some years) into the latter part of January. This mountain is one of the few snow-capped equatorial peaks in Eastern Africa. Climbing Kilimanjaro is a wonder in itself. The climb can be rigorous and challenging but requires no great mountaineering experience. The trained and experienced guides will watch over you from start to finish. There are two different routes to the top and travelers should plan for either three or five days on the mountain. The last day starts very early and the descent from the peak begins just after sunrise. As permits and exact scheduling are needed this is a trip to plan well ahead of time. Oldupai Gorge (incorrectly named Olduvai Gorge by early European explorers that misheard the Maasai word) is a famous anthropological site in Tanzania. It was the site of anthropological work by Mary and Louis Leakey for about thirty years before they discovered fragments of bone from ancient humans. In the past thirty years similar habitats in Ethiopia and Kenya have added to the marvels discovered in Tanzania. A visit to Oldupai Gorge and the small, but well-stocked, museum is both emotional and educational. Olduvai Gorge is called “Oldupai” by the local Maasai. Oldupai is the name of a plant used to make ropes and is located in the Gorge and surrounding area. 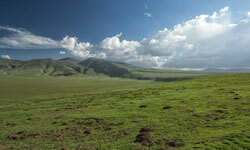 Ngorongoro Crater is the great caldera of what was once a huge mountain; probably well over 20,000 feet tall. The caldera measures about ten by eleven miles – from the rim it is all visible and seemingly constrained, but once inside it seems to roll forever in all directions. The spectacular landscape of the crater combined with its large concentration of wildlife is one of the greatest natural wonders of the planet. This is a permanent home for large concentrations of wildlife. With an abundance of fresh water there is no reason for much of the wildlife to migrate. Game viewing is good year-round. 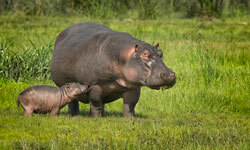 We will see prides of lions, rhinos, elephants, hippos, flamingos, and over 400 species of birds as we tour this area. Ngorongoro Conservation Area in Tanzania includes vast expanses of highland plains, savanna, woodlands and acadia forests. The plateau is located between 6500’ and 8000’ in elevation. It stretches from the plains of the Serengeti in the north, to the eastern area of the Great Rift Valley. It has a population of nearly 25,000 large animals. It’s home to the densest known population of lion, and harbors endangered species such as the Black Rhino, Wild hunting dog, and Golden Cat as well as over 500 species of birds. 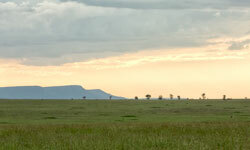 The rolling hills are dotted with Maasai homes and their cattle roam among the game animals. The wildlife coexists with the Maasai tribes in the area. 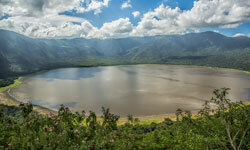 The beautiful Empakaai volcanic caldera is in the NCA (Ngorongoro Conservation Area) in Tanzania. It is home to a large flamingo population as well as other wildlife. It is a treat to have a picnic lunch on the rim of the crater and have the active and ash-covered Ol Doinyo Lengai (“Mountain of God” in Maasai Language) on the one side and the richly forested Empakaai Crater on the other. Ol Doinyo Lengai is an active volcano along the eastern Rift Valley that last erupted in 2006. We can hike to the lake at the bottom of this beautiful landscape and experience the surroundings and wildlife from a different perspective. The sensory experience boggles the mind. Photography opportunities are everywhere. 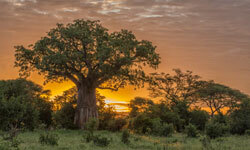 This park is full of baobab trees; old, huge, somber, and striking trees of equatorial land. The trees are leafless for most of the year with some exception during the wet season (December – March), but serve as food and shelter throughout the year. This area is excellent for viewing elephants and giraffes. 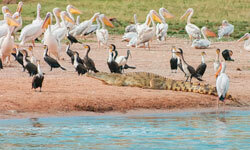 During the dry season the Tarangire River attracts large numbers of all sorts of animals. 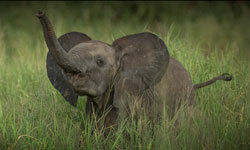 In the wet season many herbivores leave the park, but it is still rich in elephants and giraffe. 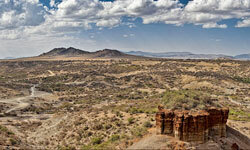 This long, narrow park is at the base of a 2000′ high cliff along the Great Rift Valley. Rainfall from above eventually seeps out the sides of the cliff and descends to the park. Thus there is permanent fresh water here and lots of animals. 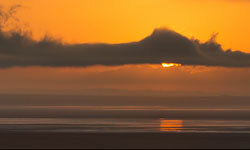 It is adjacent to agricultural land and Lake Manyara itself. Lake Manyara National Park is a bird watchers paradise. The park itself is rich in all wildlife. There are always zebra, elephant, Cape buffalo, hippopotamus, and large troops of baboons. The further we venture into the park the better chance of finding tree-climbing lions and blue monkeys. The animals are used to vehicles, are not shy, and provide excellent photo opportunities. 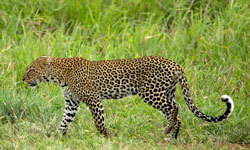 The Selous (pronounced “Seloo”) Game Reserve is one of seven World Heritage sites in Tanzania. With over 19,000 square miles it is the largest national park in Africa and second largest in the world. The greatest population of elephants in Africa resides in this area as well as many other large populations including antelopes, hippos, crocodiles, and over 400 species of birds. Only the northern area (area north of the Rufiji river) of this pristine wilderness is open to tourists. This area has great game viewing and bird watching with small crowds of tourists. The many lakes and rivers resemble Botswana’s Okavango Delta. Remote and one of East Africa’s best kept secrets, Ruaha is named for the mighty Ruaha River that flows around the borders and is Tanzania’s second-largest park. It attracts only a fraction of the visitors that go to the Serengeti making game viewing a less crowded experience. The main portion of the park sits on top of a 5,900 foot plateau with spectacular views of valleys, hills, and plains—a wonderful backdrop for game-viewing. Habitats include riverine forest, savanna, swamps, and acacia woodland. 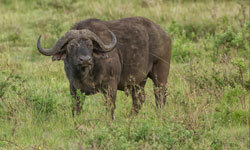 We’ll see large concentrations of buffalos, elephants, antelope, and more than 400 bird species. The “Parc National de Volcans” (or PNV as it’s known by locals) lies along the Virunga Mountains. It comprises 8 ancient volcanoes shared by Rwanda, Uganda and the Democratic Republic of Congo. 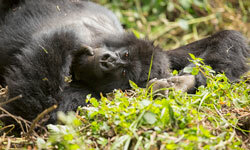 Only a two hour drive from Rwanda’s capital of Kigali, the park is home to 10 habituated families of mountain gorilla. Other wildlife in the park includes the blue monkey, golden monkey, (rare sub-species of the blue monkey), bushbuck, genet, buffalo, and 119 species of birds including the spectacular mountain turacos and forest francolin. You can experience encounters with both mountain gorillas and golden monkeys, and see dramatic landscapes filled with mountains, lakes, and bamboo forests. 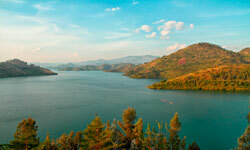 Rwanda’s western side is bounded by Lake Kivu, one of a string of huge freshwater lakes along Africa’s Great Rift Valley. It is Rwanda’s largest lake, and the sixth largest lake in Africa. As you drive along the gently curving roads surrounding the lake you see gorgeous views. Eucalyptus trees line the road, while the hillsides are terraced with bananas. It is a beautiful and relaxing stop between trekking in Volcanoes NP and Nygungwe NP. Lakeside activities abound including boating, fishing, canoeing, and swimming along it’s sandy shores. Located in the southwest corner of Rwanda, Nyungwe National Park is an untouched natural rainforest that is filled with exciting biodiversity. It is one of the world’s most beautiful and pristine mountain rainforests. It’s believed to be one of Africa’s oldest forests, staying green even through the Ice Age, which explains its diversity. Home to habituated chimpanzees and 12 other primates species (including a 400-strong troop of habituated Ruwenzori Black & White Colobus), it’s also a birder’s paradise with over 300 species. This majestic rainforest is filled with nature and wildlife experiences for you to emerge yourself in. Hiking the beautiful terrain, tracking the famous chimpanzees, experiencing the canopy walk, witnessing beautiful birds, or relaxing by waterfalls are just a glimpse of activities available. Nicknamed the “Pearl of Africa,” Uganda shines with lush greenery, the deepest lakes, towering mountains and perhaps one of the greatest natural treasures of all — half of the world’s last remaining mountain gorilla population. It’s mist-covered hillsides are blanketed by a diverse rainforest which dates back over 25,000 years. 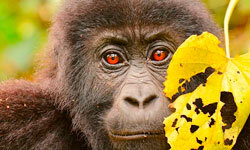 It’s home to almost 400 species of plants and protects an estimated 400 mountain gorillas. On your Uganda gorilla safari, travel far into the heart of Bwindi Impenetrable National Park and see these incredible, endangered creatures up close and personal. The 306 sq mi Kibale National Park is a lush tropical rainforest, believed to have the highest density of primates in Africa. It’s most famous for being one of the best places in the world to track wild chimpanzees, with five groups habituated to human contact. 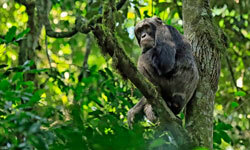 It’s home to 13 primate species, with the rare red colobus and L’Hoest’s monkeys the other highlights. Larger but rarely seen residents include bushbuck, sitatunga, buffalo, leopard and quite a few forest elephants. There are also an incredible 250 species of butterfly that live in Kibale NP. While on the smaller side, Kibale also has about 372 species of birds. This is where open-canopy and wetland species can be seen alongside most of the same forest species living in Kibale National Park. 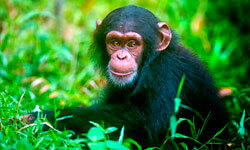 Queen Elizabeth National Park is in southwest Uganda. It’s known for it’s wildlife, including cape buffaloes, hippos, crocodiles, elephants, leopards, tree-climbing lions, and chimpanzees. The districts male tree-climbing lions sport unique black manes. It’s also home to over 500 species of birds including the African skimmer, Chapins flycatcher, Pink-backed pelicans, Papyrus canary, Shoebill stork, marital eagle, black-rumped buttonquail as well as the great flamingos.